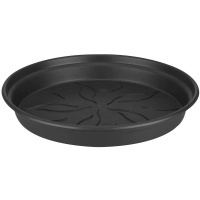 Elho Green Basics Round Pot Saucer 25cm - Living Black offers a small circular watering tray ideal for sitting under black plant pots, suitable for houseplants or outdoor plants. 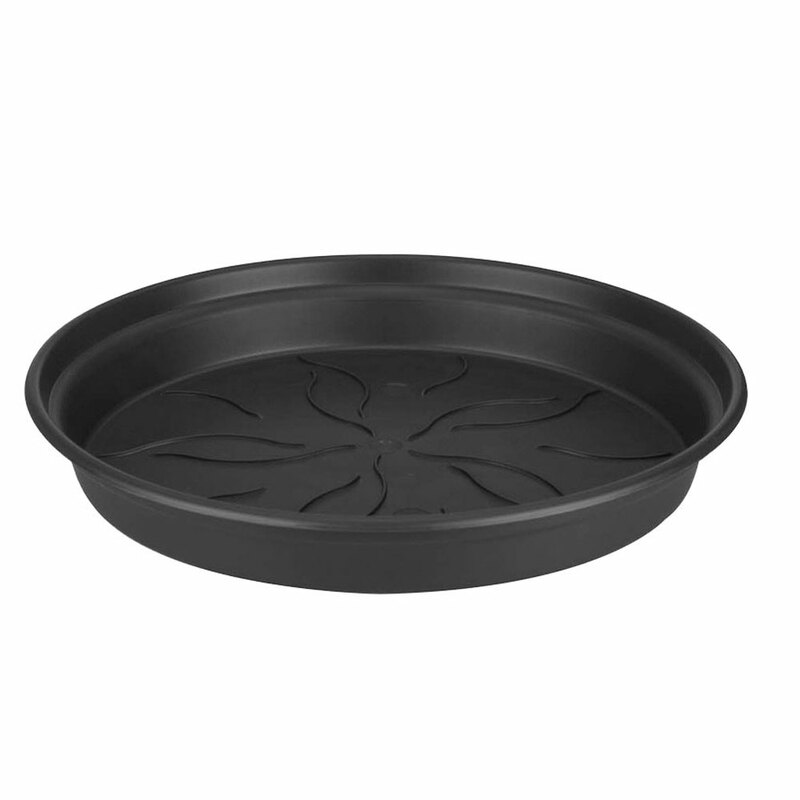 A pot saucer offers a practical and beneficial self-watering system for plants, so the roots can draw water when and where most needed. 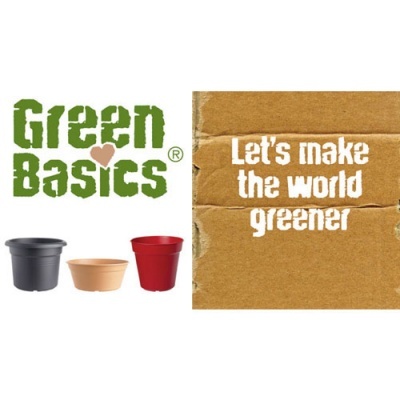 Elho 'Green Basics' range exclusively uses recycled plastic for the environmentally conscious gardener, but still ensures a lightweight but strong round saucer, that is both UV and frost-resistant.